Even in the quietest bays, inlets, and harbors in the ocean, the water is in motion. The strong surge produced by long ocean swells can reach deep down in the water, moving water back and forth at intervals of up to 60 seconds. The wind waves breaking on the reef and then flowing into the quieter waters inside the reef roil the water and constantly stirring up the sand and other debris. Two tide changes per day keep the water moving even on the calmest days when the oceans' surface is like glass. This is what the ocean has always done and the critters that live in it don't know any other way of life. The fish, invertebrates, and corals in the oceans have not only gotten used to the water movement, they use it to their best advantage and depend on it to survive. Much of the stationary life in the ocean depends on water movement to bring them food as well as remove clogging debris. Take the water movement away from them and they will suffer. Wavemakers are designed to give your aquarium the simulated effect of wave motion that your saltwater animals have when in their natural environment, but what other benefits do they provide? Fish enjoy the change in water movement and currents. Fish need exercise to help prevent fatty buildup around the heart and liver for longer life. By having a wavemaker, a good current is created for the fish to be active and get some exercise. The movement and current flow that you will get throughout your tank will help prevent dead pockets around your corals and live rock where unwanted detritus can accumulate. With the wave/current action, it will dislodge the detritus and allow it to be stirred up and filtered through your mechanical filter to remove it. Don't think that this will completely remove all unwanted detritus. A good cleaning and regular maintenance routines are still important. Corals thrive on the motion of the ocean. The current and water movements stimulate them and bring food to them, keeping them active and healthy. Not only that, but en you're sitting and watching your aquarium, the movement of your corals softly swaying is beautiful and calming. If you have fish in your tank, it is fun to watch them interact with the currents too. A wavemaker will stir up the sand in your aquarium releasing microscopic particles and organisms that your corals and inverts feed on. Many powerheads will work in connection with wavemakers that feature controlling devices or timers for turning on and off the powerheads at different intervals, say every minute up to 40 minutes or so. But what if you don't want to invest in a costly wavemaker and controlling device? One way you can provide wave motion in your aquarium, without the expense, is to take two powerheads and place them at opposing ends of your aquarium. Point the two water flows towards each other, so the currents meet in the middle of the tank. This will create a very good, not to mention interesting, current in your tank. You can periodically move the powerheads to various spots in your tank to provide water current to every area of your tank, which helps to eliminate dead spots. Don Carner has taken this method one step further with his DIY wavemaker design. By building some simple PVC assemblies and attaching them to the powerheads, it greatly increases the strength of the water flow and allows you to direct the water flow more precisely where you want to go. His design also requires no outside electronic devices. 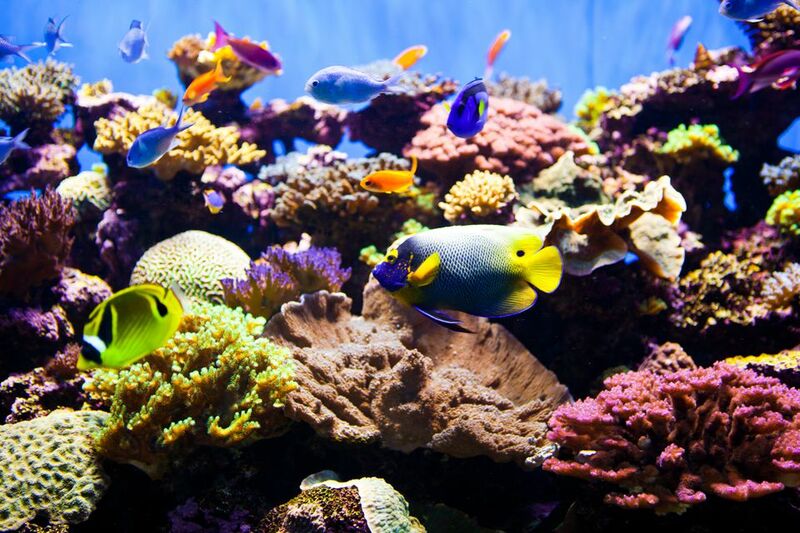 As you can see, wavemakers offer many benefits for the health of your aquarium and its inhabitants. Consider putting one for your aquarium.